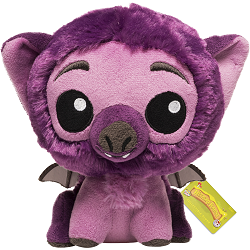 Meet Bugsy Wingnut, this adorable plush POP monster from Funko's imaginative and whimsical Wetmore Forest. Known for his ever-cheerful attitude, Bugsy Wingnut is shy but caring monster who is always willing to lend a helping paw. From the top of his purple head to the gray bottoms of his feet, you will love having POP Monster Bugsy Wingnut as a fun collectible stuffed animal or huggable friend. 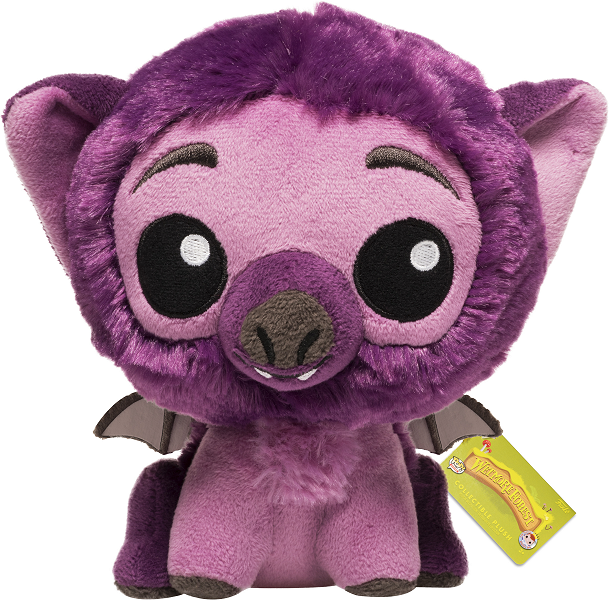 With a cuddly body of soft purple fur and magenta face and inner ears, this loveable plush monster has a magenta front legs and chest with fluffy tuft, fun felt wings, and big eyes with embroidered details. With a toothy smile in a sweet face, Pop Monster Bugsy Wingnut is ready for many imaginative adventures while inspiring you to be a cheerful helper. Only the keen-eyed explorer will set eyes on a POP Monster, and only the keenest of eyes will ever find Bugsy Wingnut. This nervous nelly is always out of sight and shrinking into the shadows of the rainforest. Be it high in a tree or under a rock, it's in the nooks and knots of the trees that he feels most at home. Being the baby of the group, the other critters keep a watchful eye on him no matter where he might be hiding. Inventor and fixer of all things, POP Monster Chester McFreckle is a smart problem solver who loves to explore. Ever the one for good-hearted mischief, POP Monster Pickelz is quick witted and always on the go. Always ready with a hug and a smile, POP Monster Tumblebee is a kind, caring, and loyal friend. A determined leader and true friend, POP Monster Snuggle-Tooth is daring, honest, and trustworthy. Always seeing the best in everyone, POP Monster Butterhorn is a great storyteller and kind-hearted listener. Known for always speaking his mind, plush Fleem Yeti has a cuddly body of soft ice blue fur and blue purple eyes.